IVPN was founded in 2009 in Gibraltar. The full company name is Privatus Limited. 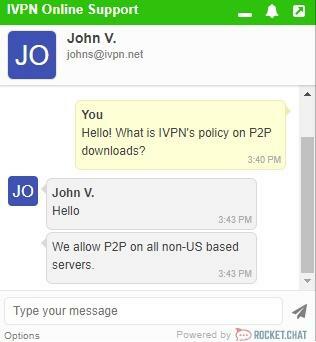 IVPN seems to have a reputation for really valuing privacy, so I was eager to find out if they actually are a secure VPN provider. Most VPN providers claim they “don’t log” your data. Only to turn around and log it for their own personal reasons. Sometimes, they even go so far as to sell your data to third-party advertisers. In this review of IVPN, I’ll be uncovering the answers to these questions and more. I’ll also be defining the pros and cons of this VPN service, letting you know whether they’re worth the investment. But first – who is IVPN as a company, anyway? The overall look and feel of the IVPN website looks legitimate. The article commends IVPN for bringing attention to global cyber-oppression. I really love this creation from the company, because it shows how committed they really are to fighting for internet freedom and privacy. They’re more than just a VPN provider. And it looks tons of people recommend IVPN for users who want to remain anonymous. One reason that IVPN can be so private with user information is probably because of the reason that the company is located in Gibraltar. The Data Protection Act of 2004 keeps the private information of Gibraltar citizens safe and forces businesses to respect user information. This makes the area a great location for a VPN company since the country really values protecting the data of its citizens. Before we talk about pricing and speeds for IVPN, let’s discuss features of the service. 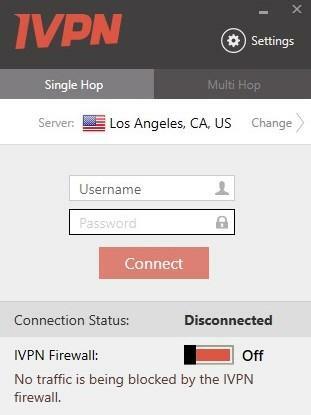 IVPN boasts about no logs, no leaks, fast multihop servers, and more, right on their homepage. The company also has apps for tons of different devices. IVPN also offers set up guides for each kind of router (and device or operating system). 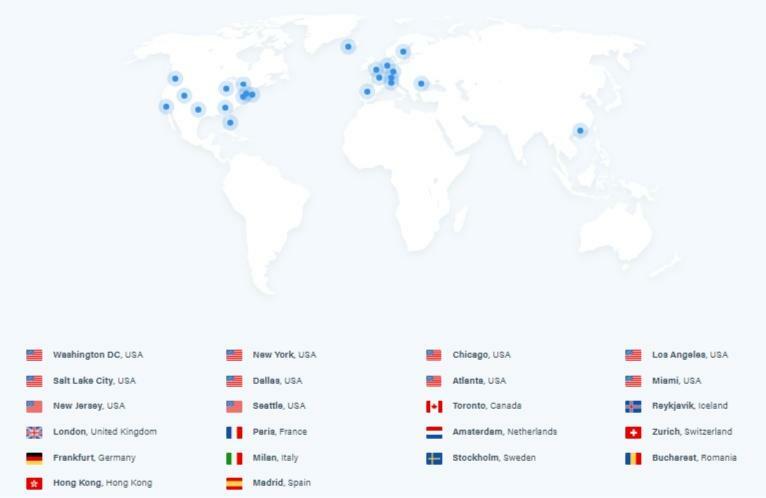 This VPN provides 38 servers in 27 countries. 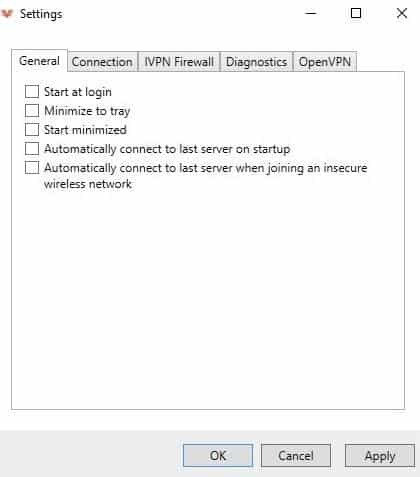 That’s among the lowest I’ve seen across all VPN providers. 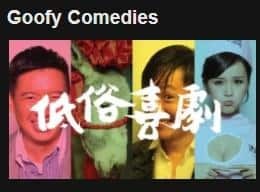 They’ve been around for almost eight or nine years now, so I kind of expected more. And the company offers an integrated firewall that acts as a “kill switch.” The company even claims that it’s more secure than a traditional one. Kill switches are essential for keeping your information private and secure while you’re browsing online. Kill switches quite literally kill your browsing session if your internet becomes disconnected, keeping your activity completely private. 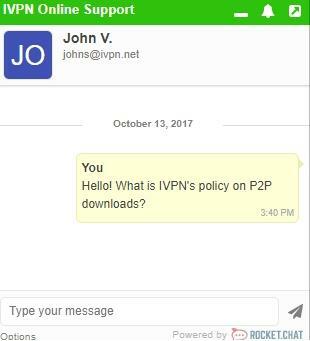 I’m pleased that IVPN offers an integrated firewall to act as a kill switch – especially when some providers don’t offer one at all. IVPN also offers IPv6 and DNS leak protection. Right now, they only offer OpenVPN and IPSec/IKEv2 support. That’s both good and bad. It’s good because they’re the latest-and-greatest security protocols, offering state-of-the-art AES-256 encryption. Generally speaking, you only want to use these options if you have the choice. But it’s bad because they don’t offer older methods like PPTP or L2TP, making this VPN virtually incompatible with old devices or sluggish networks. When I checked their plans and pricing, the company was also offering a 40% anniversary discount. 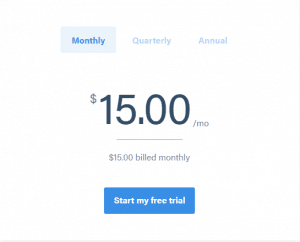 The monthly package is $15 per month. This comes out to be $180 per year. This planned is billed monthly. Choose this option if you’re testing them out. But long-term, you’ll want to switch to a different one to save more. 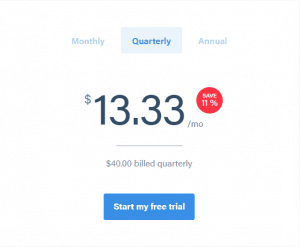 The quarterly package is $13.33 per month. This comes out to $160 per year. This plan is billed as one payment of $40 every quarter. 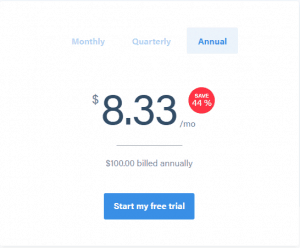 The annual package is $8.33 per month. This comes out to only $100 per year, so it’s clearly the best-priced plan. This package is billed as one payment of $100 every 12 months. That’s a great deal. Payment methods include credit cards, debit cards, PayPal, Bitcoin, and cash payments. I really love the cash payment option. However, IVPN does not accept American Express or any type of prepaid card. I would recommend trying out the free trial of IVPN first. If you find that you really love the service, commit to the annual plan to get the most bang for your buck. IVPN is very competitively priced, and I think it’s priced well considering all of the features you’ll gain access to. Plus, the company offers a seven-day money back guarantee AND three-day free trial, so you’ve got nothing to lose. Now that you know all about the features, plans, and pricing of IVPN, I’m going to outline the pros and cons of their service. 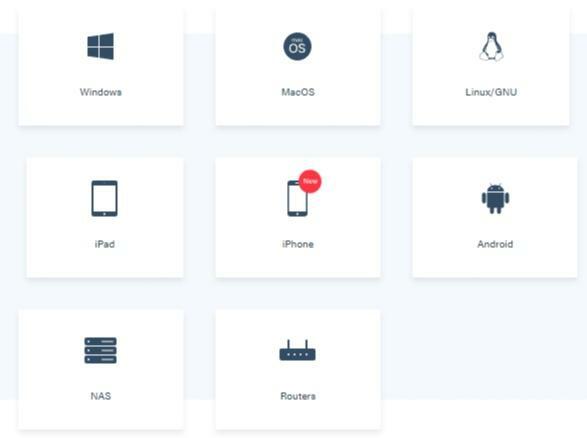 Here’s what the platform will look like once you’ve selected the device type you’re downloading the service on and you begin installation. Plus, they have an amazing knowledgebase where you can search through frequently asked questions. What good is a rock-solid encryption if your connection becomes too slow to use? Some of those speeds are pretty decent. However, this last one is among the slowest I’ve tested. Overall, the performance was too hit-or-miss to recommend. IVPN has a strong encryption, a firewall that acts as a kill switch, and leak protection. Plus, the company offers a seven-day money back guarantee along with a free trial option. Torrent downloads are also allowed on IVPN servers. As David Herrero said elsewhere, this is for people that want privacy not unlocking of content. Although I agree with the main review that speeds for some servers have issues, the ones I normally use Iceland, Germany, UK, Poland, and Chicago (when all I want is best ping) give me nearly my full 100M down/10M up connection. However, the reason I think iVPN is worth it is for the customer service. This is literally the best customer service I have ever had. I had an issue with the windows client which was confirmed in less then 10 minutes, and the very next client update was fixed. The new client, put out a few months ago, looks good and the kill switch makes me confident that I'm not going to leak. Many places block IVPN's servers now like Craigslist, and most of your personal accounts tend to reject IVPN servers. They have terrible customer support and no live chat. If you have a problem with them, they might not even respond back to you at all. The rebuild me unauthorized for a year's use after I had not used them in a while, and then would not answer any emails in regards to it at all. They literally just kept the money and I had to push my bank to act on fraudulent charges. It's a terrible company to deal with and I am very familiar with their service. It's also kind of strange they don't have any affiliate programs and don't have live customer support. Seems like a cover or a front to something else and people should be concerned by things like this alone. I have used iVPN for almost two years and while I like their bundled firewall approach vs app or kill switch non-sense they are using mostly exactly the same bandwidth providers as TorGuard.net and other teir one providers. Nothing they are doing or providing justifies the 200% price difference annualy billing. They do not offer OpenConnect. TorGuard does. This is not a special price. This is the always price. ivpn won't extend special deal pricing to loyal customers. 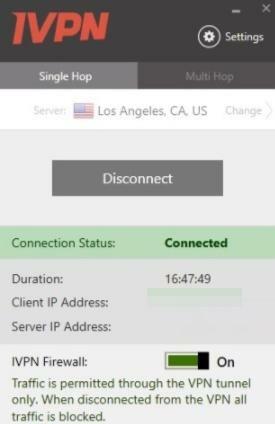 IVPN is by far the most reliable, private VPN service out there but this has its downsides. Server choices are very limited and its apps, even if they are renewing all of them, lag behind some of their competition. In my opinion is the VPN that cares more about your privacy in every sense, and I’ve used ExpressVPN, VyprVPN, NordVPN, PureVPN, and BlackVPN. Its owners are very capable and they are really professional. Netflix doesn’t work, but they are a VPN for privacy, not for content unlocking. You pay what you get, a VPN for privacy, and it is really good at that. I used IVPN both as a trial and paid subscription. While the trial has a limited number of VPNs you can choose from, being able to test its capabilities was crucial in making me subscribe. I loved the fact that there was such a variety of countries available, at decent speed, especially from Europe, although I wish I could connect to a Mexican VPN too. 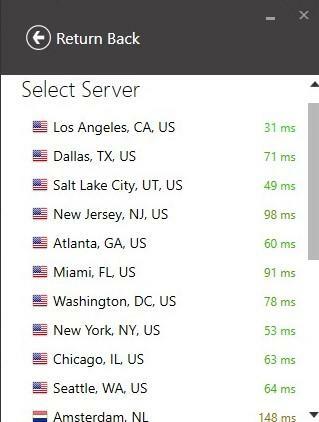 Northern America only has Canada and the USA, which has numerous servers you can connect to. All in all, I highly recommend it, especially since if you need a particular country, you can just try the trial version first to see if they have it and then you can pay to connect to it in case it’s unavailable for free users.